We’ve written a couple of times about Secret Cinema and their epic, insanely detailed, and just generally awesome screenings. Their highest profile events thus far have been their incredibly cool Back to the Future screenings, which were popular and successful enough to get the movie back on the weekly box office top ten list in the U.K. Now they’re turning their sights towards another of our all time favorite movies: The Empire Strikes Back. This is going to be awesome. The screenings are set to run from June 4 through August 2, and the biggest catch is that they’re in London, which you likely know is in England, which is a hell of a long way for some of us to travel just to watch a movie. Even in an epic setting. And though there aren’t too many details available just yet, you can rest assured this will be pretty damn epic. Their Back to the Future screenings, which will be replicated in Los Angeles for the 30th anniversary, involved a fully functioning replica of Hill Valley, the town from the film. This included more than 20 stores, Marty McFly’s high school, and, of course, the clock tower. In addition to that, there was also a cast of more than 70 actors all decked out in 1950s styles wandering around as the movie showed on the side of the town hall. And that doesn’t even take into account the people who showed up in costume all on their own. The tickets were pricey, running $88.50, but it sounds like one hell of an experience. If what they have in store for Empire is anywhere near this, it should be a spectacle of the highest order, with lots of role playing and people dressed to the nines. 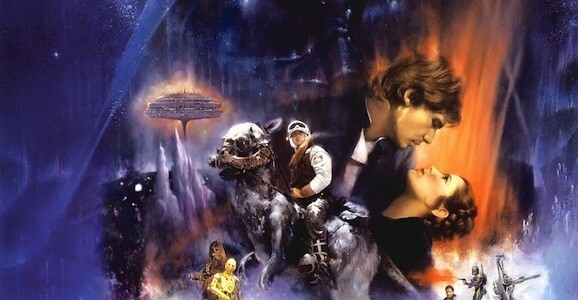 All it’s going to take is for one person to find out and this is going to be all over social media, but for now, it’s a “secret.” But don’t worry, if you’re really intent on getting to one of these screenings of The Empire Strikes Back, I’m sure you’ll be able to find out all you need to know.